I wanted to run both piaware and fr24feed at the same time. OK, I really wanted to have a free Premium membership at FlightRadar24.com, and a free Enterprise membership at FlightAware.com. All I had to do was collect ADS-B data with a small USB stick radio and run one program (plus some helpers) for each. Each opens up many more options on the respective site. While it's interesting to see on their display aggregating all available tracking that an İstanbul to Mexico City flight, or Moscow to Havana, or Texas to Qatar, is passing above my home in Indiana, it's even more cool to see that my little receiver with its simple antenna is picking up and relaying the flight's 1090 MHz ADS-B signals. 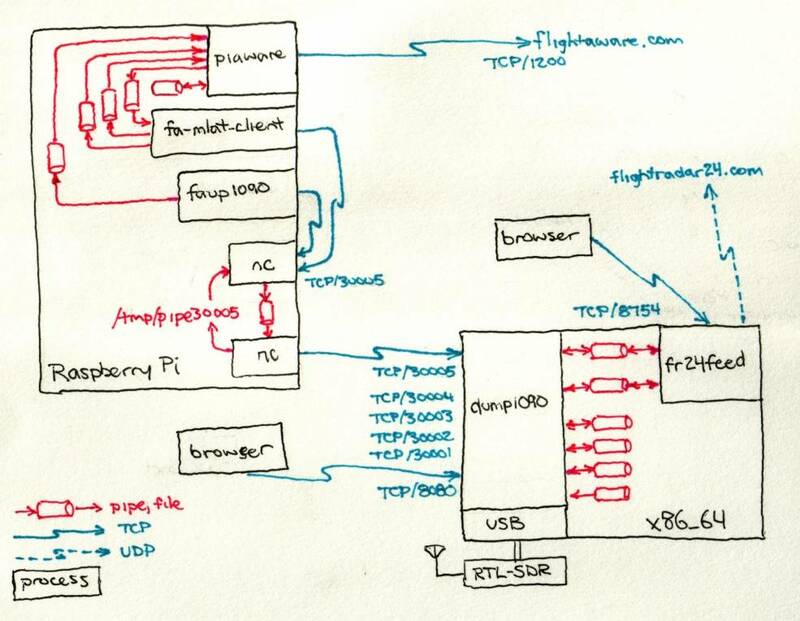 Another page explains setting up an RTL-SDR receiver with a Raspberry Pi, and yet another shows how to build an ADS-B 1090 MHz antenna. 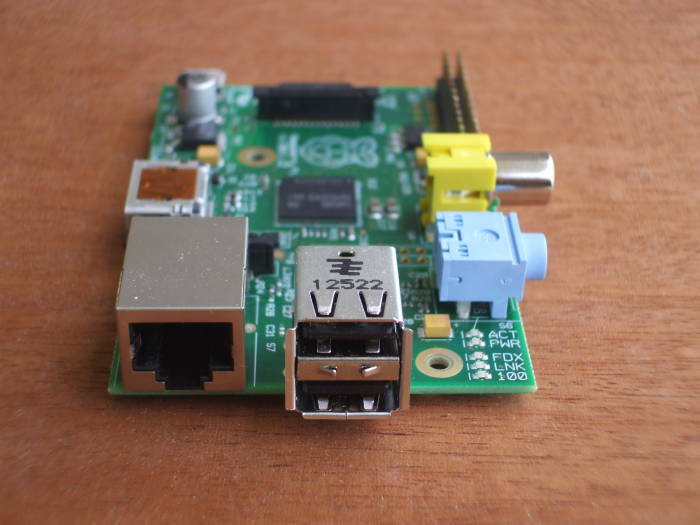 Read on here to learn how to run both piaware on Linux/ARM and frfeed on Linux/x86_64. I had problems with the two programs interfering with each other. I could get all of the needed processes running but the dump1090 component was producing nothing. The processes were running, and network communication was set up, but no data was fed and so no active Premium/Enterprise membership. Here is the needed fix. ADS-B tracking data received with a small, low-cost RTL SDR unit plugged into a Linux computer. RTL SDR means it's based on a RealTek chip set and it's a Software-Defined Radio. It looks like an over-sized USB thumbdrive and costs about US$ 10-20. Then I downloaded the amd64/x86_64 Linux archive of fr24feed software from feed.flightradar24.com. The FlightRadar24 project keeps things proprietary, you get just a binary executable and two ASCII text files containing the license and the version number. I extracted the archive in /home/piaware, and created a symbolic link /usr/local/bin/fr24feed pointing to the binary. procargs="--net --lat 40.526537 --lon -86.913475"
I needed the boot script /etc/init.d/fr24feed. I got that by temporarily installing the fr24feed package on a Raspberry Pi using apt-get. I copied that script to my Linux/x86_64 system. Then I erased the package from the Raspberry Pi. That script needs to be somewhere other than /etc/init.d as systemd will insist on trying to take control of it. I also had to edit the script, changing the DAEMON= definition to find the binary, and replacing every instance of log_daemon_msg with echo. I had to install the dpkg package on my non-Debian Linux/x86_64 system, in order to get the /sbin/start-stop-daemon program used by the boot script. Then, in the two lines in the file where that program is used to execute $DAEMON I added the parameter --fr24key=a099d71716c999df (of course using my actual FlightRadar24 account key in place of this random example). echo "Stopping and restarting dump1090 and fr24feed"
With that running and my data being fed to their site, FlightRadar24.com gives me a free premium account. Now to do the same for FlightAware.com. 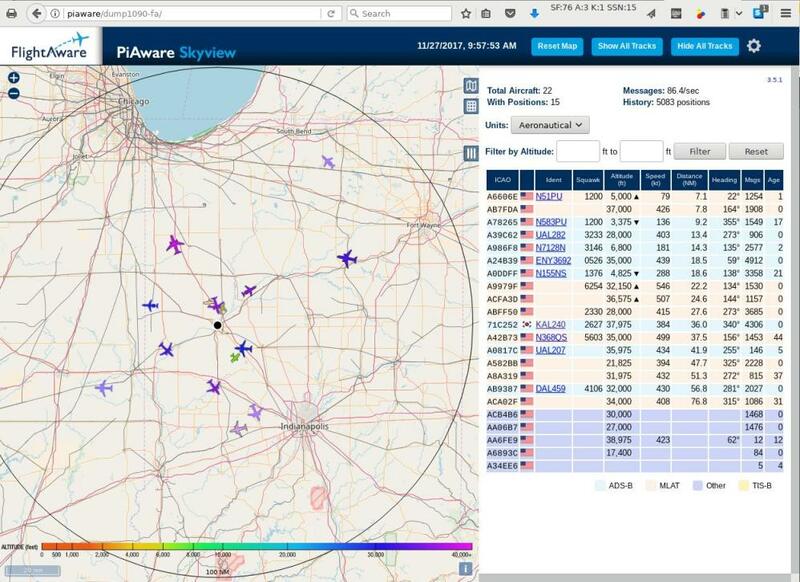 FlightAware provides the PiAware package. You can get the source code, but it is set up to be built on a Debian-based system. 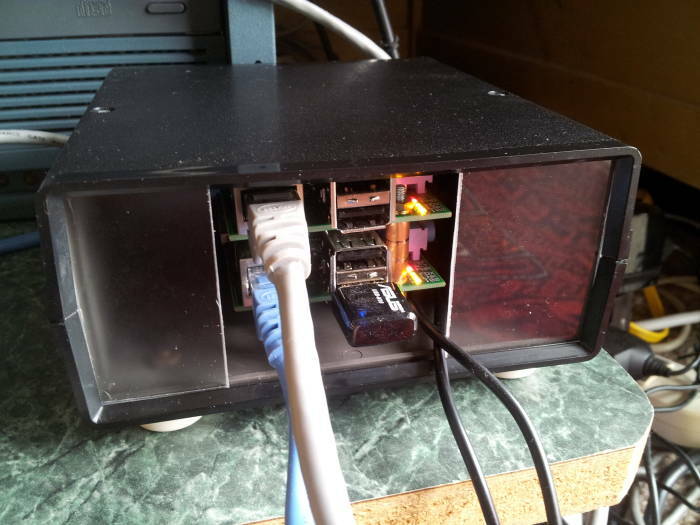 Instead of fighting with the build process to compile it on a non-Debian distribution, I installed the PiAware Debian package on a Raspberry Pi and used nc (or Netcat) to connect the processes. I needed to make them connect to listening sockets on another system. However, without rebuilding piaware from source, I couldn't do that. My solution was to use nc or Netcat, adding this block to /etc/rc.local on the Raspberry Pi. Important: You must remove the -e flag from the first line of /etc/rc.local or it will not run. With that -eflag, the script exits if any untested command fails. Also, use raspi-config to select "Slow wait for network connection before completing boot". Otherwise, the everything-at-once approach of systemd would try and fail to start this long before the networking was set up. I create a named pipe (which could be anywhere and named anything). One instance of Netcat listens for connections, another instance is connected to the remote socket, and the pipe moves data in both direction. Change x86_64_host to the other host where dump1090 is running. echo "Forwarding port 30005 to x86_64:30005 through $FIFO"
echo -n "Waiting for connections..."
Notice that fr24feed is using multiple UDP ports to communicate with the FlightRadar24 data collector. http://x86_64_host:8080/ shows the map of planes you are currently receiving. http://x86_64_host:8754/ shows your FlightRadar24 feeder current status. The piaware process has an established TCP connection to the FlightAware data collector in the 70.42.6.0/24 IP address block, and the fa-mlat-client process is sending UDP messages to it. Both the faup1090 and fa-mlat-client processes are connected to TCP port 30005 on this machine, which through a pair of Netcat processes connects to the corresponding TCP port on the x86_64 system. You can use the node numbers to match things up, and "r" versus "w" in the FD (or File Descriptor) column to figure which pipes a process uses for reading, for writing, or both. Here is the result of matching up the pipe communication and putting it all together. For an advanced project, I could set up these components as systemd units.